Day 1: Sunday--Family shopping day at Costco...always a pleasure! HA! Yes, all three of them insist on sitting in the cart. You practically need a forklift to move the thing! Day 2: Monday--While Brooke and Buddy were at VBS, Sarah and I got new Play Doh. You'd think it was Christmas when I told them! They spent at least an hour making all sort of different creations! Day 3: Tuesday--Brownie making was on the agenda for today! Day 5: Thursday--Thursday evening was the VBS ice cream social at out church. It was so cute hearing them sing all of their songs they learned during the week! Here are the kids with some of their besties from school and church. We are truly blessed to be part of this community. Here's a great meatball recipe I put together that is simple, simple, simple, yet healthy and delicious! Even though I often make homemade marinara sauce, I have found this one that I LOOOOOVE!!! It the best store-bought sauce I've found and the ingredients are simple, no preservatives or things you can't pronounce. 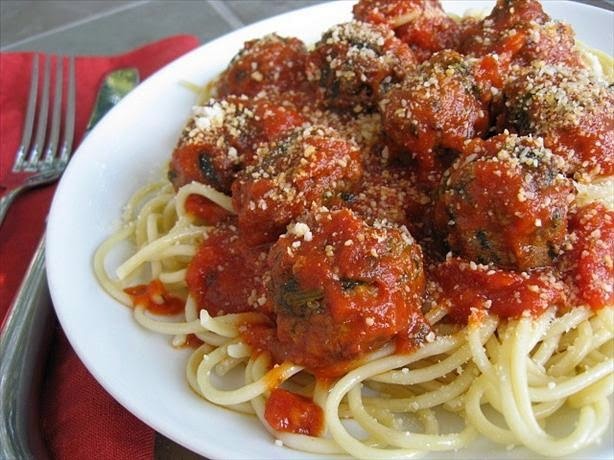 I will make these "homemade" meatballs and pair with the store-bought sauce for a great semi-homemade weeknight meal. Enjoy! 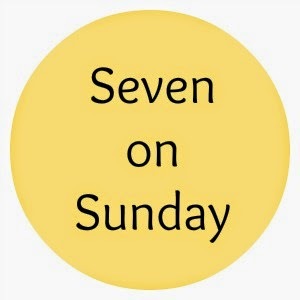 Seven on Sunday Summer Challenge Week 1! We did it! Summer Challenge Week 1! Monday through Friday we were able to do at least one thing from our list! We had a lot of fun waking up and deciding what we were going to do that day! Sunday: Day 1-- We spent Sunday celebrating THIS super special guy!!!! He's such an amazing Daddy so he spent the day grilling for himself!! LOL! Monday: Day 2-- The kids and I took it easy on our first "official" day of summer. 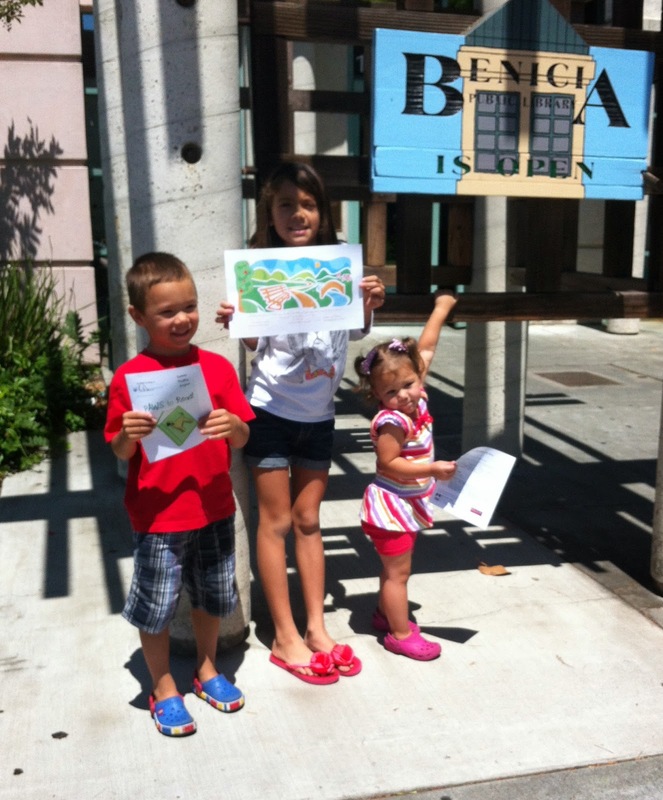 We hit up the library to sign up for the summer reading program, rode bikes and spent a lot of time outside. I even got a nap in! Ahhhh, summer!! Day 3: Tuesday--We packed up and headed to our favorite Northern California beach, Fort Cronkite in Sausalito. We visited the Marine Mammal Center for the first time which was a great (free!) activity to add to our beach trip! Day 4: Wednesday--Pool day once again! I love this pic...even when he's relaxed, he still looks stressed! Ha! He's been that way since birth! Day 6: Saturday--Although we're only officially counting the weekdays as "summer fun" days, we had fun on Saturday, too :) After a brief hiatus (one week?? ), we're back to Saturday sports. Brooke is doing Track Camp for the next 6 weeks and Will started the new season of summer flag football. He's with the big kids now and his team is the 49ers!! WOO HOOO!!! I'm a huge fan of mayo-based side dishes like macaroni salad, potato salad and this corn salad--it must be the Midwest in me :) But during the summer, mayo isn't always the best options for outdoor BBQ's and picnics. 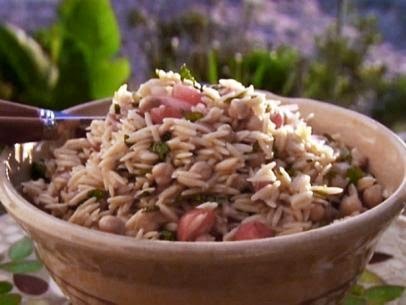 This orzo salad is the PERFECT summer side dish. It's mayo free, travels well and feeds a crowd. Plus, you can mix and match the ingredients any way you like! ** These are my go-to add ins for this salad, but add anything you like...cherry tomatoes, chopped red onion, white beans, cucumber and bell peppers are all great, too! 2. Mix together remaining ingredients, toss with dressing and serve immediately. If packing and taking to a picnic, leave off the herbs and dressing. When you're ready to serve, tear the herbs and toss with the dressing. 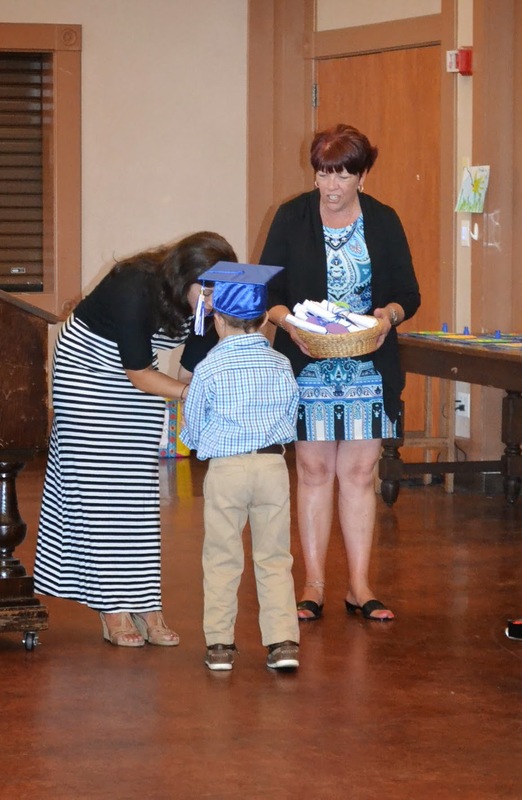 Last Thursday my "little" boy graduated from Pre-K! Boy, was he happy! He was so proud to get his diploma! He sang, he danced--it was great! He had a wonderful year and had wonderful teachers. He's SO ready for Kindergarten! Here are some more pictures from the week....he was so blessed to have Teacher Tanya! This is really the best I could do on the group shot :) Will was about ready to lose it with me and my camera! That's my son dancing..yes, DANCING at the end of the year picnic! It was quite an eventful week, to say the least!! Sunday: Day 1--We attended a mini reunion at church with everyone who went through RCIA. It was nice to catch up with old "classmates" and continue to see how God is working in their lives. The kids had fun running around the church courtyard. These are some of the crazy kids we see at church...oh yeah, three of them are mine!! Monday: Day 2--96 degrees doesn't fly well with this Bay Area family!! We hit the pool right after school! This is what happens when they hand out free ice cream sandwiches! Tuesday: Day 3--Last full day of school!! Brookey had tennis, so I got to hang out with these clowns. Sarah looks like she's having a deep conversation. Wednesday: Day 4--Preschool Graduation!!!! Doesn't he look proud??!! Kindergarten here we come!!! Thursday: Day 5-- Will's last day of Preschool. He was truly blessed to have Teacher Tanya in his life. She also taught Brooke in Kindergarten and her daughter is our babysitter! He had a great year but he's totally ready for Kindergarten!!! Friday: Day 6--We said goodbye to one of our favorite priests who is being transferred to Seattle. 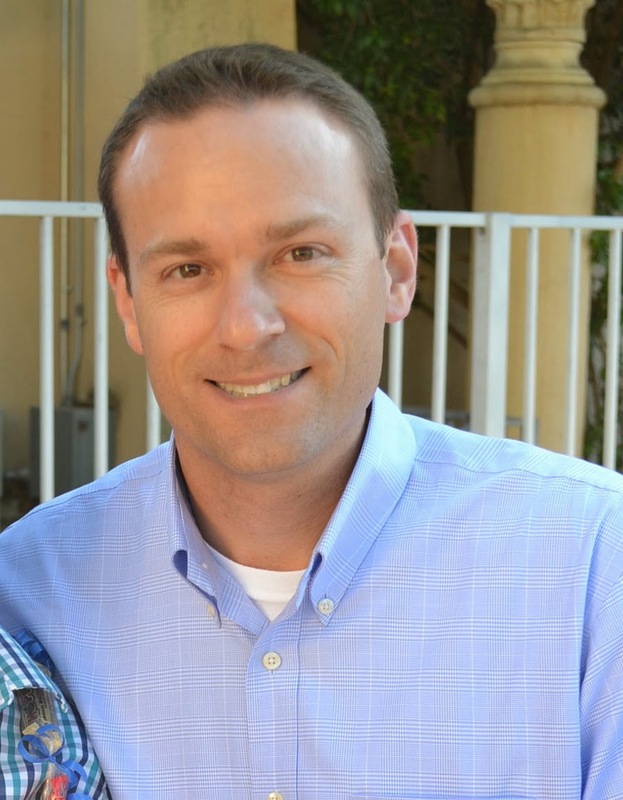 He was with us at pretty much every big event that has happened in our church-life and at the kid's school. This pic was taken last year on our 10th wedding anniversary when we renewed our vows. He was a wonderful spiritual leader and friend. We will miss Father John Marie but plan to visit him soon in Seattle! Saturday: Day 7--Celebrating 11 years, Napa-style! 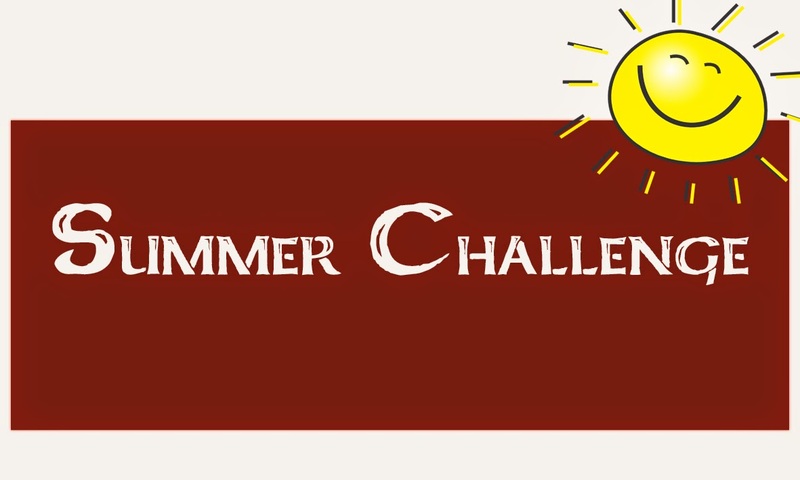 See ya'll next week for the first Summer Challenge Edition!! 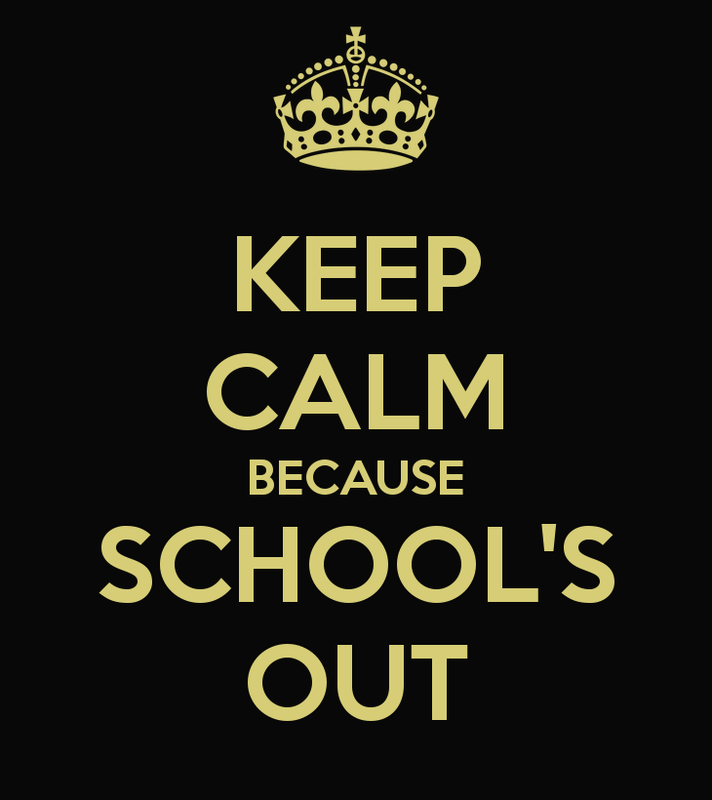 It's official: SCHOOL'S OUT FOR SUUUUMMMMMERRRR!!! Praise the Lord! 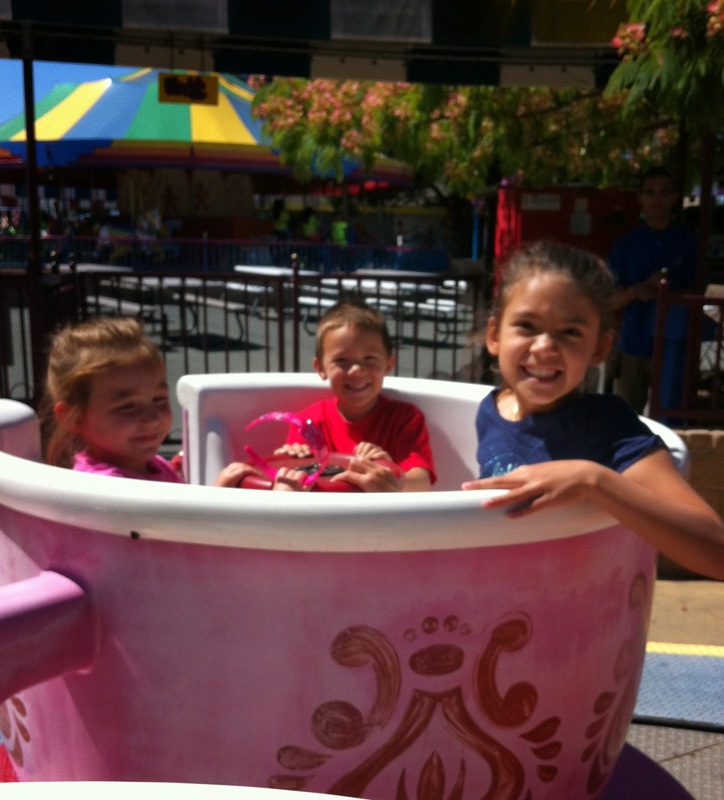 Although having 3 kids at home all summer is not an easy task, it really is nice to have a break from the homework, events and just everyday stress and routine of school and work. Yes, the fighting, bickering, dish-washing and diaper changing is enough to drive anyone batty but look, my kids are only this young ONCE. Summer is a precious time when we aren't bound by schedules and duties...we can just be together, enjoy perfect weather and be a little spontaneous. That being said, having no schedule can also mean sitting at home on the computer or iPad all day OR getting so caught up in all the household chores and errands that the summer (and my kids LIVES!) are passing me right up! SOOOOO.....that's why we're doing THE ROONEY SUMMER CHALLENGE! Each day that I'm home with the kids, we are going to do a little (or maybe big!) fun thing together. This doesn't count taking them to a class or dropping them off at a friend's house. This is a fun activity that we do together. I didn't get a million "creative" (AKA: complicated!) ideas off Pinterest..i just asked the kids what they wanted to do--most of these are their ideas! I just threw in a couple of Pinterest ideas at the bottom because they looked fun and uncomplicated!